Many organisations have now deployed Microsoft’s Skype for Business, with over 100 million enterprise users utilising the application at their desktops for instant messaging, presence, voice & video. Businesses are deploying the technology to improve productivity, and is helping teams stay connected across the globe. Due to the initial understanding of what tools such as Lifesize Cloud do, many organisations are asking the question, “why are organisations using Lifesize Cloud if they already have Skype for Business?” The answer is that these businesses are recognising the need for additional functionality and better quality tools for certain aspects of their work – that integrate seamlessly with the best features of Skype for Business. Why Skype for Business users are considering Lifesize Cloud, they are generally using S4B at the desktop or on laptops, and are interested in extending high quality video communications into the meeting space or collaboration room. 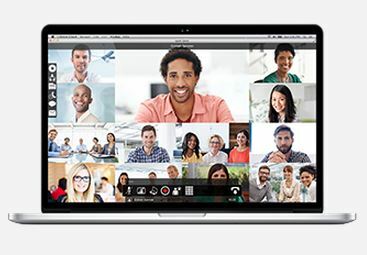 Rather than scaling up a PC solution, which provides poor quality video and lacks audio features such as echo-cancellation, organisations are deploying professional Video Conferencing endpoints into the meeting space, such as the Lifesize Icon with Phone HD, that are connected to the Cloud, and enable Skype for Business users to immediately call into the meeting room too. Rather than requiring S4B users at the desktop to use a different solution to call into the meeting, they can use the tools they are used to at the desktop, and simply call into the conference, whilst the conference room gains all the features needed for high quality conferencing for multiple people. With Lifesize Cloud for Skype for Business, your users can have up to 50 people in a single Virtual Meeting Room, including your Skype for Business users, and any external clients who may not be using Skype for Business. Using the Cloud VMR’s, you also have the ability to utilise new video layouts, such as continuous presence, plus gain full HD video on laptops, tablets and smartphones. Because Lifesize Cloud is standards-based, it can connect to any of the world’s leading Video Conferencing systems seamlessly. Although Skype for Business cannot, alone, communicate with other Video Conferencing systems due to Microsoft’s “island approach”, everyone can connect in the Cloud, whether S4B, Cisco, Lifesize, Polycom, Yealink…… and more! With Cloud, you have robust mobile apps and a browser-based apps (plus WebRTC calling) easily accessible from Microsoft IE 11, so your smartphones and tablets don’t need to be Skype for Business capable, and you can connect with clients, customers and supply chains that may not have deployed Skype for Business at their offices. Cloud provides over 60 international dial-in numbers, meaning anyone around the world can call into the Cloud room and communicate, audio-only, with standards-based video users and Skype for Business users. For international organisations, this can dramatically reduce or completely eliminate audio bridging costs, creating huge savings for your business. These are just a handful of reasons to why organisations are utilising tools such as Lifesize Cloud even if they have deployed Skype for Business. Although some solutions have their similarities, it’s important to recognise the differences and utilise those that work best for your business.